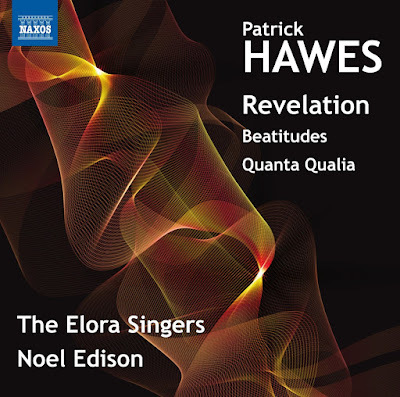 A new album, Revelation, of music by the composer Patrick Hawes was released on 10 February 2017 on the Naxos label. 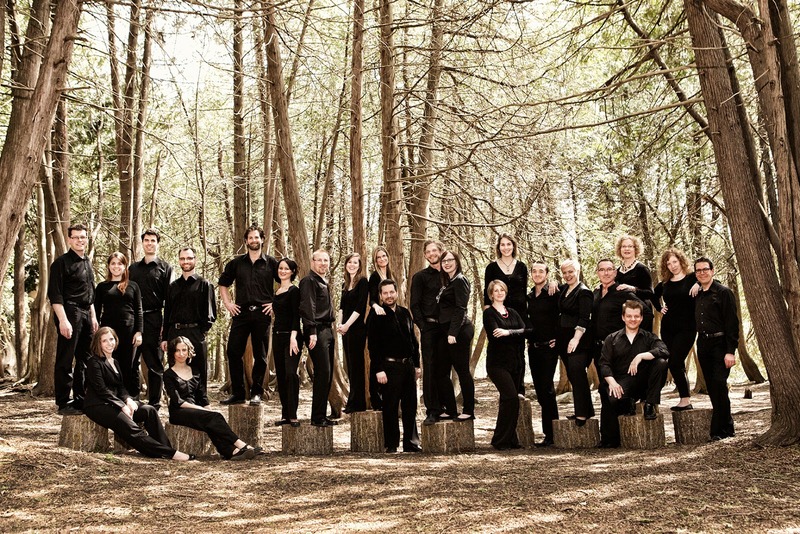 The music on the disc includes two new pieces, Revelation based on texts from the Book of Revelation, and a setting of the Beatitudes, plus a new recording of Quanta Qualia, performed by a Canadian ensemble, the Elora Singers, conductor Noel Edison. I caught up with Patrick by Skype to find out more about the new project. Patrick first came to prominence with his debut album Blue in Blue which was nominated for a Classical Brit in 2004, the first track on the album being the popular Quanta Qualia. 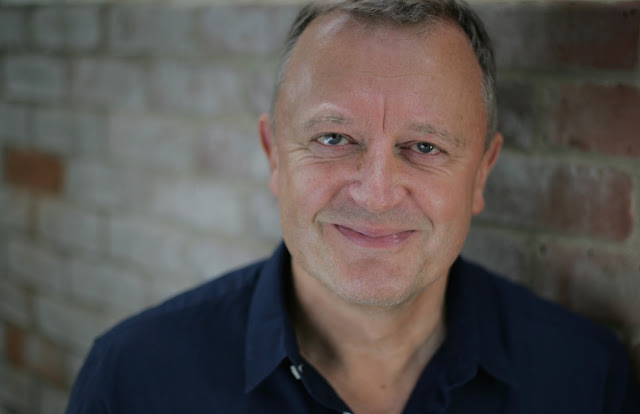 Hawes was commissioned by HRH The Prince of Wales to write the Highgrove Suite in 2009, which was premiered in 2010. His biggest work to-date is his Lazarus Requiem. Premiered at the Cadogan Hall, London in 2008, the work intersperses the traditional Latin Requiem text with an account in English of the raising of Lazarus from St John’s Gospel. The album Angel, recorded by soprano Grace Davidson, the Choir of New College, Oxford and the Royal Philharmonic Orchestra, was released on Decca in 2014 and reached Number One in the Classical Charts. The new album, Revelation, is Patrick's first since Angel and I was curious as to why he chose the Book of Revelation for the text of his new work. Patrick explained that it is such a dramatic text, which has everything in it, a wide range of emotions and plenty of pictorial images. He loves all the hell and damnation, thunderstorms and dragons, but that it was the last book in the Bible also had an appeal. Patrick's favourite sentence in the whole of scripture, 'Worthy is the Lamb' (best known in Handel's setting from Messiah) comes from the Book of Revelation, so there is something quietly gentle in the texts, about peace and reconciliation as well. The number seven features quite heavily in the Book of Revelation, there are seven churches of Asia, seven lamps blazing, so Revelation has seven sections of text plus passages from the prologue and epilogue of the Book of Revelation. For the seven texts, 'Worthy is the Lamb' of course was included, as was a poetic text like 'I saw a new heaven' (at this point in our conversation Patrick and I have a little diversion to talk about other settings of this text, notably the one by Edgar Bainton). The selection also covers the contrasts which Patrick had talked about, with flashes of lightening, and refererences to the Second Coming. Patrick comments that you can see what Charles Jennens chose the Book of Revelation as a source for the text of Handel's Messiah, adding that he is something of a Handel fanatic. Whilst Handel's Worthy is the Lamb is a climactic point in Messiah, Patrick's setting is quieter and tender. Whilst writing Revelation, Patrick travelled to the island of Patmos where St John wrote the Book of Revelation, and he found the experience an amazing and moving one (you can see the video from the trip on YouTube). Given that his last album was a best selling one, I wondered whether Patrick felt under pressure to repeat the magic when writing new pieces. But Patrick forgets about all that when writing, and is able to just be himself. In fact, Revelation includes some his most abstract music. Whilst some of the work is for four-part choir, other sections are for double choir with some of the most complex textures that Patrick has ever written. When the Elora Singers first performed Revelation they commented that it was hard to see this was the same composer who wrote Quanta Qualia. But Patrick adds that he is still himself, the same musician who wrote Quanta qualia and he likes to think that all the music has both down to earth and lyrical qualities to it. Given that he has written so much music setting sacred texts, it is no surprise to find that he is religious himself. He admits that he finds it extraordinary that composers such as Berlioz, RVW and John Rutter, who have written such major settings of sacred texts, are not themselves Christians. Over Patrick's shoulder I can see a crucifix, on a shelf in his study, and he explains that it was carved for him by his father just two months before he died, and that the crucifix goes everywhere with him. For Patrick, the process of composition is a full on meeting with his Christianity, so that when writing Revelation his faith was behind it, and he refers to music as just one of the voices of the Holy Spirit. Though the Elora Singers gave the first performance of Revelation and recorded it, it was not written specifically for them. But, whilst Patrick did not write with their choral voice in mind, he had heard them on-line and was aware that they are a world class ensemble so that he could stretch them in a way he could not do when writing for an amateur choir. He adds that not only is Revelation very difficult and very challenging to sing, but that Elora Singers had to sing it from scratch, pulling the performance out of a hat, whereas future choirs will have the recording to listen to. It is clearly important to Patrick that choirs of all abilities can sing his music, and to that end he also included another new piece on the disc, Beatitudes which is more amateur friendly. He chose the Beatitudes because he wanted to write a choral album with texts from the New Testament, and he finds the Beatitudes the other side of the coin to the Book of Revelation. He refers to the Beatitudes as simple honest truths spoken by Christ, representing some of his most important teachings. Patrick was at first surprised that there had not been more settings of the Beatitudes, given the universal appeal of the texts, but suspected that their repetitive nature was the reason. Given Patrick's Beatitudes lasts over 20 minutes, his main challenge was not making the music monotonous. So, to create contrast and variety he introduced a piano into the mix. For Patrick, a piano brings great warmth and homeliness about the piano; he adds that he learned the piano as a child because his Mum and Dad owned a pub (in Skegness) and there was one in the pub. In Beatitudes the piano plays an integral part in the musical tapestry, with Patrick using different ranges and piano figurations and thus overcoming the danger of monotony. He also used a careful key-scheme through the eight movement, exploring a range of different keys. Patrick composes at the keyboard, though as a teenager he tried to compose without any aid. But he quotes the story about Ravel, when RVW went for lessons to him, chiding RVW for not using the piano to compose as to how else would he write new sonorities. So nowadays, Patrick always composes at the piano, or using a midi-keyboard attached to a sequencer. This latter he finds helpful, as he can immediately save ideas and get a feel for orchestral and choral textures. Now that samples are becoming more sophisticated, he feels he can get a picture of a choir sound more quickly. He adds that he does not think relying on a keyboard is a weakness and that is convinced that Mozart would have used the latest technologies. I ask about his musical inspirations, and if he had to pick one it would be Handel. As a teenager he went through a Romantic phase, listening to Rachmaninov and Tchaikovsky, and in his 20s he was Mozart mad (and he adds that his birthday is the day of Mozart's death). Finally he fell in love with Handel, and the love has stayed. He finds Handel a composer who has married spirituality with sensuality, and Patrick appreciates that you don't have to be one or the other, but can be both. He also admires the way that Handel embraced Englishness in music so effortlessly. Which leads us to another era whose music Patrick admires, the Renaissance. Patrick was born in 1958, another coincidence as this was the year RVW died. And Patrick was composer in residence at RVW's old school, Charterhouse. Patrick loves the way RVW embraced folk-song which he saw as an antidote to the negative forces of modernism. Patrick finds in RVW's music the sense of English nostalgia which Peter Ackroyd talks about in his book Albion. Patrick studied music in Durham, but he was put off composition by the avant-garde techniques taught at the time (a story familiar from my interview with the composer Rachel Portman). So instead he did an MA, studying the period 1560 to 1660, looking at how the major and minor key systems evolved. Now, looking back, Patrick feels that that year was certainly well spent, better than studying composition; not only has he embraced line in his composition, but the knowledge from his MA imbues his work. For 16 years after leaving Durham he taught music and English. Whilst teaching at Pangbourne College he was asked to compose incidental music for the school play, King Lear. Patrick explains that he had no sense of his ability to write music, so his response was 'I don't know if I can, but I will have a go'. There happened to be a BBC producer in the audience and afterwards the producer congratulated Patrick and said that he could do this for a living. A year later the school choral society commissioned a work from him, this was the cantata The Wedding at Cana, one of the works which made his name. And he was offered the role of composer in residence at Charterhouse. Around half of Patrick's work comes from commissions, with the remainder being works he simply wants to write. There was no commission for Revelation, but he managed to get a choir (the Elora Singers), a record company (Naxos) and a publisher (Walton GIA) interested, and in fact this will be the first time that Patrick's music has been published by an American publisher. Patrick's album Revelation was released on Naxos on 10 February 2017. Revelation will be showcased at the ACDA Convention in Minneapolis on 8 March 2017, when Patrick will be taking part in a 'Meet the Composer' session. Further information about forthcoming events from Patrick's website.